Glasgow FrontRunner's are hosting a Summer BBQ with trail runs on Sunday 11th June in Glasgow. 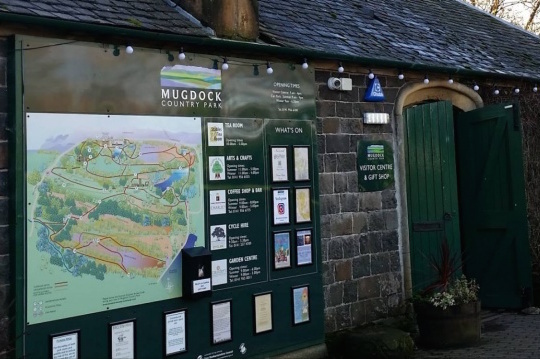 As part of LEAP Sports Festival Fortnight 2017 Glasgow FrontRunners are organising a Summer BBQ & trail runs suitable for all abilities at Mugdock Country Park. Building on last year successful club run, this years event is open to all members of the LGBTI community, thanks tosupport from LEAP Sports Scotland. This event aims to promote Glasgow FrontRunners as a running club, give people the opportunity to participate in a new sport and increase LGBTI visibility and participation in sport. Either meet at the park or transport is being provided free on a first come, first served basis by booking a place via the link above. Please note there are only 17 spaces in the minibus. There will also be several members with spaces in cars. Participants should wear suitable running kit, waterproofs and bring some warm clothing such as a hoodie in case it's cold to change. We hope it will be a warm, sunny day for the BBQ so why not bring along a picnic rug and Summer seat and anything else you want to eat and drink! Written on 18th April 2017.